H41228 Features: -Rubber brayer. -Hard roller made from synthetic rubber. -Economical one piece plastic frame has convenient hanging hole in the handle. -Interchangeable with other pop-in rollers. -Great for many creative techniques. 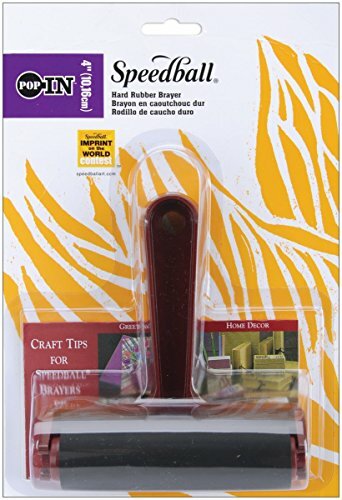 -Free craft tips usage guide inside. Country of Manufacture: -United States. Product Type: -Rubber brayer. Dimensions: Overall Height - Top to Bottom: -0.25". Overall Width - Side to Side: -4.25". Overall Depth - Front to Back: -7.5". Overall Product Weight: -0.09 lbs.